The human reproductive process is remarkably inefficient. A male produces sperm throughout his life from puberty on. The quality and quantity deteriorates with age but he probably produces between 500 billion and 1 trillion sperm during a lifetime. Most get nowhere near where they are supposed to go, are very badly directed and eventually die. Unexpelled sperm are reabsorbed. Some few tens of millions find their way into a female reproductive system but the vast majority of these never meet a mature egg and wander around aimlessly until they die, unrequited and unfulfilled. On average a male fathers between 2 and 3 children. Each such instance requires just one sperm. There is little evidence to suggest that the successful sperm is the “best” of the bunch. It is more a case of which lucky one was at the right place at the right time. The “hit rate” for male sperm is thus – quite pathetically in process terms – around one in 300 billion. Things are much more focused on the female side. The success rate for mature eggs is very much higher than for sperm, but still quite low. A woman has a total of some 400 – 500 mature eggs, released singly during each menstrual cycle over a child-bearing period of 30 – 40 years. Of these, on average, with widespread contraception, between 2 and 3 will be fertilised by a sperm to result in a child. A hit rate of around one child for every 200 eggs. Perhaps twice that without contraception. The inefficiency of the process is a commentary on evolution but it is still sufficient to produce more births than the replenishment rate needed to keep the total population stable. (Evolution never looks for “excellence” since it is always satisfied with what is “good enough”). In fact the resultant population growth rate has been so high that humankind has had to apply methods to further restrict the already low hit rate. In the last 100 years, globally, fertility rates have declined from over 6 to the current 2.5 per woman. Contraception, sterilisation and abortion are the methods of choice (and infanticide is now very rare but not unknown). Contraception has had the largest impact on this decline in fertility rate. 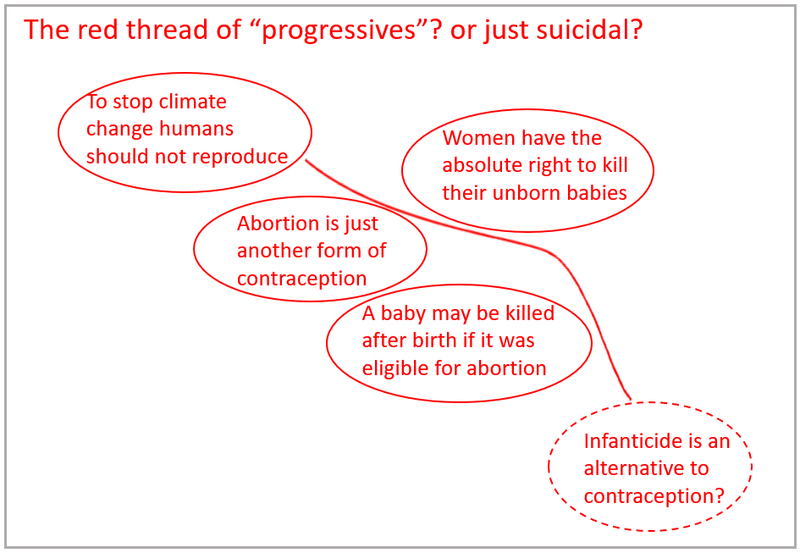 I was listening to a politician recently spouting politically correct platitudes about abortion and got to wondering how to describe the various human attitudes, in spite of a commonality of purpose (the avoidance of a child), between contraception and abortion and, by extension, infanticide. It would certainly be incorrect to claim that a sperm or an egg are not “living”. They show in fact that “life” is a continuum from the parents, and then through their eggs and sperm to the fertilised egg, its birth and then its life as an independent individual. So why should it be that preventing an egg being fertilised, which would otherwise go on to become a foetus, causes no moral qualms but aborting that same foetus after it has been conceived is so disturbing to some? 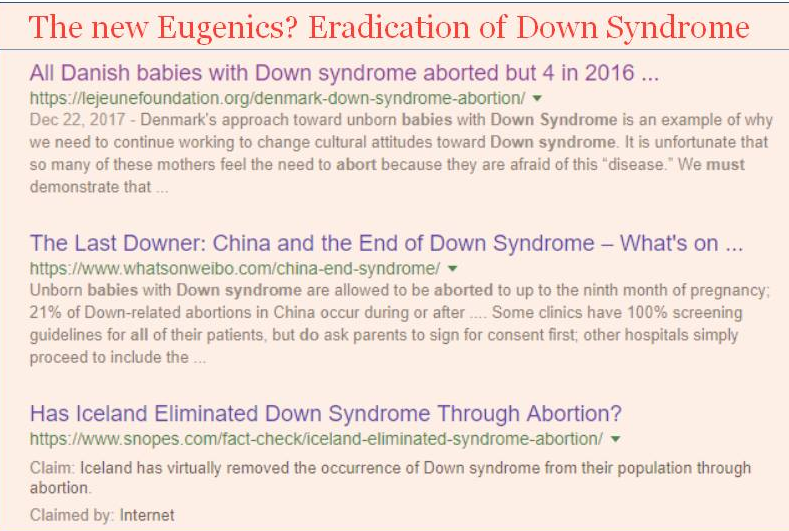 Extending that thought, what is it that makes aborting a foetus and preventing a child from being born much less disturbing than terminating the existence of that same child after birth? I suspect that it is our concept of “identity” rather than “life” which determines. Contraception and sterilisation prevent conception. Prior to that we cannot attribute any clear identity to one sperm within a swarm of millions. An ovum is much closer to having identity but it still only has the identity of a “component part”. In fact the sperm and eggs live under the umbrella of the identity of their originating individuals. Only one sperm in 300 billion and one egg in 200 succeed in combining and developing into a child. All the rest die unrequited. But when they die or produce a fertilised egg, they do not diminish the identity of the individuals they came from. The component identities cease when the sperm or eggs cease to be. About 70-80% of all foetuses conceived would normally come to term. After about 10-12 weeks of pregnancy this is closer to 90%. (Currently around 20 – 25% of conceptions are aborted globally). The moment of conception is unique in that it is when a new identity is formed. It is a discontinuity in the playing field of identities. It is an additional identity, connected to but separate from the identities of the parents. There is a strong case, I think, for considering the fertilised egg as the start of a new, recognisable, unique human identity even though the life of that identity is not (yet) independently viable. Many societies set a limit of 22 or 24 weeks after conception as being the point when a foetus acquires the “right” to live but this boundary is irrational. This time is based on when a foetus – if born prematurely – is considered to be viable. I don’t find this very useful since the alternative to an abortion is not usually a premature birth. I note also that the probability of a foetus reaching full term changes very little after the first 10-12 weeks of a pregnancy. A 12 week old foetus has almost the same chance of being born as a 30 week old foetus. An abortion at any time after about the first 12 weeks effectively eliminates a birth which – with a 90% probability – would otherwise occur. 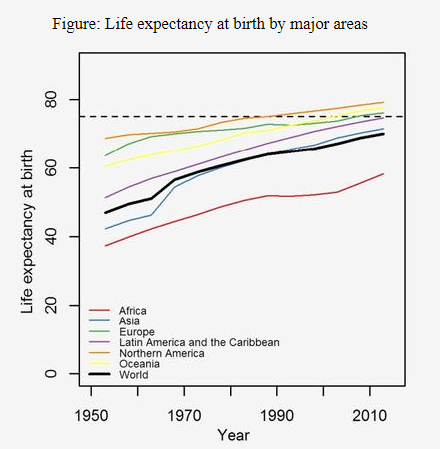 After birth, infant mortality rates today are generally around 5% (ranging from close to 15% in the poorest parts of Africa to less than 2% in well developed societies). Looking at probabilities, and based on all the sperm and all the eggs that are produced by humans, contraception halves what is already a very low chance of conception. The probability of an egg being fertilised reduces from about 1:100 (1%) – of an unidentifiable egg being fertilised by an even less identifiable sperm – to be about 1:200. Abortion however terminates a 70-80% probability of an independent, identifiable entity coming into being. Infanticide eliminates a 95-98% probability of an independent human life continuing. Could it be that our sense of outrage is related to the probability of an independent entity coming into being? When the probability is very low we see no great harm in reducing it still further but when the probability is high we feel it “unnatural” and “immoral” to intervene? It is possible that we intuitively assess probabilities but I don’t think that we connect “morality” to probability. I suspect that it is primarily identity and the point at which we are prepared to recognise or assign an independent identity that is the key. It is probably the same cognitive process which leads to our lack of engagement when many thousands of people – but without recognisable identities – perish in a tsunami and the close emotional engagement when somebody known suffers harm. And why it is said to be emotionally easier to drop a bomb on an unknown, unidentifiable mass of people than to be a sniper who can see his target in his sights. A unique identity is recognisable first when an egg is fertilised. That identity cannot be foretold but it may be remembered long after the individual dies. It may in due course be forgotten. But whether or not it is forgotten, the fact of the creation of that identity remains. Forever. It is identity, once created, which remains unique and immortal.